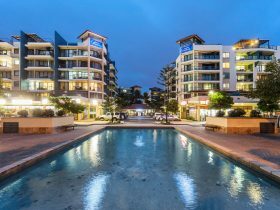 The Mirage Alexandra Headland is a luxury resort set 50 metres from the main road, offering stunning views without the traffic noise! 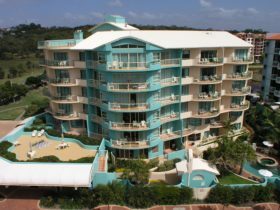 All balconies are east facing and have a view of the beautiful pool and gardens, the lagoon and park or ocean. 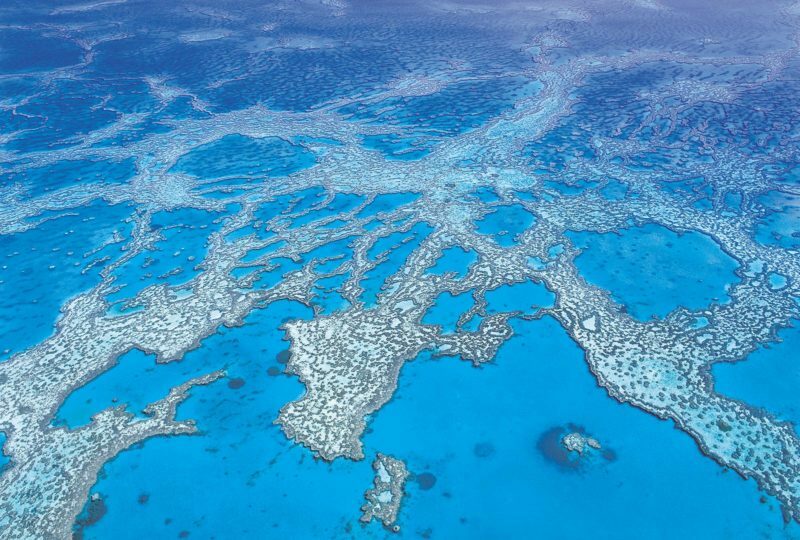 Wander in either direction and in five minutes you can choose from several restaurants, gather groceries from the local IGA, pop in to the chemist or have a cool drink at the Surf Club. 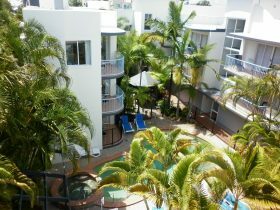 A further 15 minutes walk will take you into heart of Mooloolaba. . 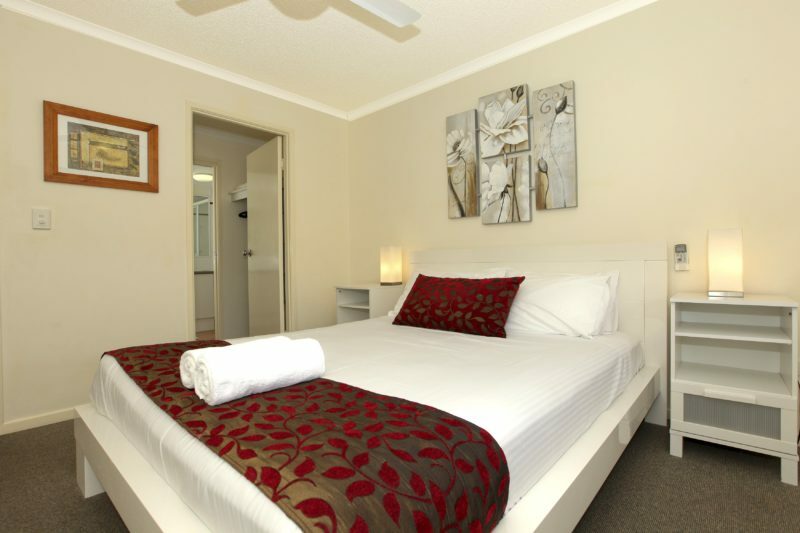 The Mirage offers a choice of one, two or three bedroom, fully self-contained apartments. The One Bedroom Apartments are actually a two bedroom apartment with the second bedroom and bathroom locked off, which means the luxury of two bedroom apartment living space for the price of a one bedroom apartment! 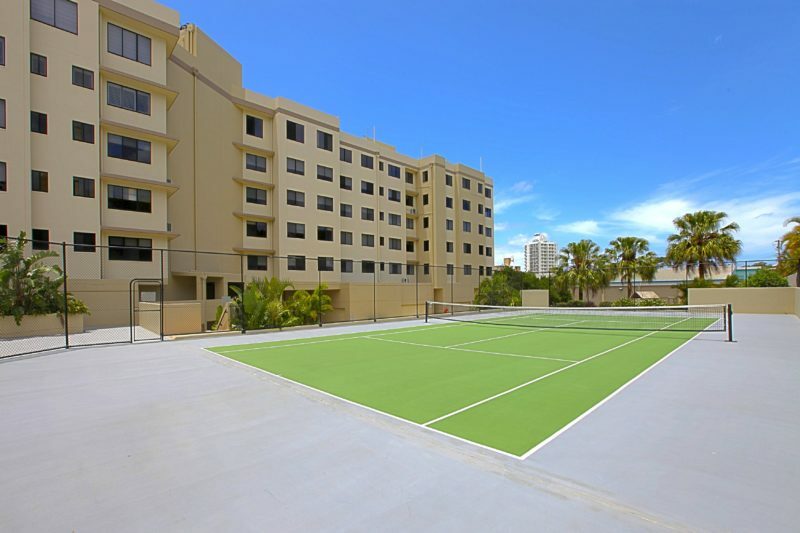 They offer a full-size tennis court, gymnasium which has just had the addition of a new treadmill, cross trainer and speed bike, sauna, lagoon and lap pools, children’s pool with waterfall and separate spa pool. The pools and spa are heated all year. 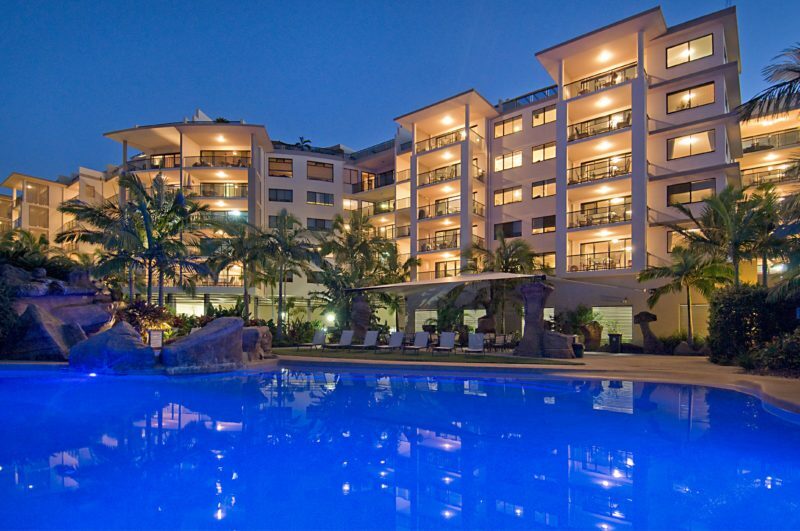 The Mirage offers a choice of one, two or three bedroom, fully self-contained apartments. 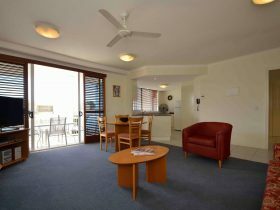 Each apartment is superbly furnished and decorated in a casual but elegant style. When it comes to a large holiday apartment The Mirage really does offer this. The One Bedroom Apartments are actually a two bedroom apartment with the second bedroom and bathroom locked off which means the luxury of two bedroom apartment living space for the price of a one bedroom apartment! Some of the guests have compared the three bedroom apartments to a small house. With large east facing balconies every apartment has an outlook of pool, lagoon, garden and/or ocean. Stunning spacious apartments on the top level with access to a private rooftop area. These one, two and three bedroom apartments all offer expansive ocean views from the balcony and rooftop. The rooftop is equipped with a barbecue and outdoor seating. All apartments have east facing balconies and pool, lake or park views, but this one is on level three or four so you are guaranteed ocean views as well. Sit back and enjoy! 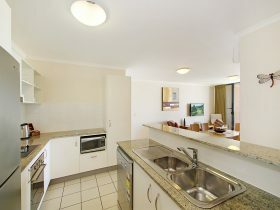 All apartments are self-contained and offer private balconies with spacious living areas, two bedroom, two bathroom, fully equipped kitchens and full laundry facilities.